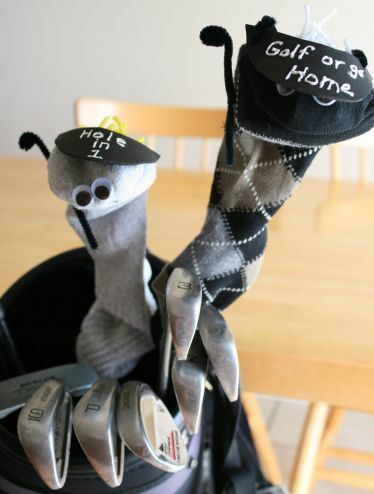 Does the Dad in your life love to Golf? 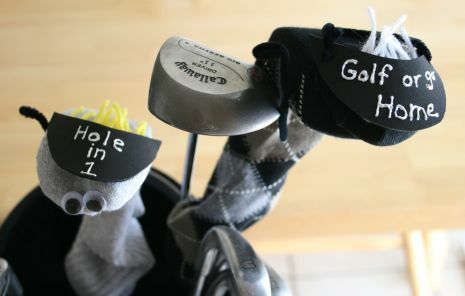 Is it “Golf or Go Home” at your house? 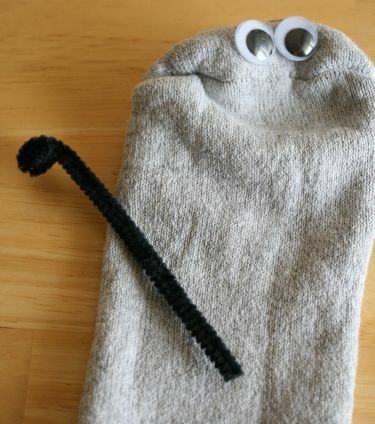 Then these fun and friendly sock puppets are the perfect cover for Dad’s golf clubs this Father’s Day. * socks – preferably new socks, any size, these are men’s large. 1- Pick out your style of sock. We chose a gray one and an argyle one. 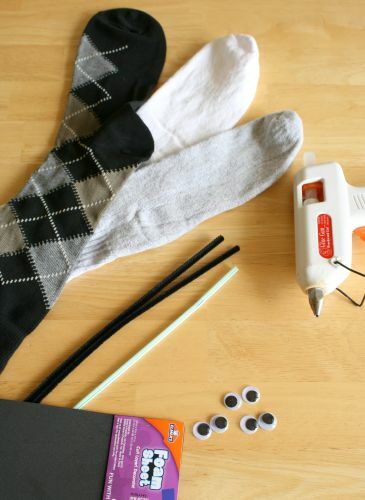 Now hot glue on the googley eyes, just above the sock’s toe line. 2- Next, you need to decide what kind of features you want it to have. We’ve chosen a foam visor, hair, and mini golf club. 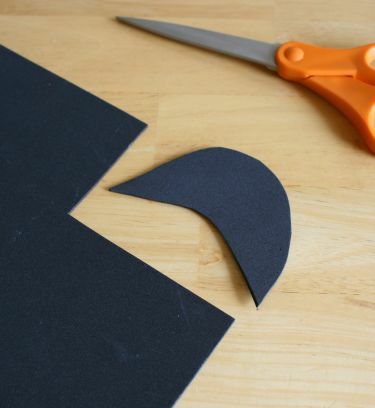 3- For the foam visor, cut out a crescent shape out of your craft foam. This one is about 2×3 inches, but measure yours to your sock size. 4- For the hair, cut out 1-2 inch strips of yarn. 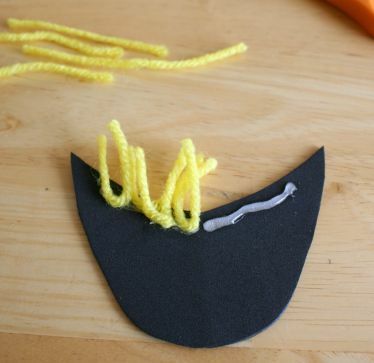 Glue a strip of hot glue on the mini foam visor underneath, and place them carefully onto the glue. 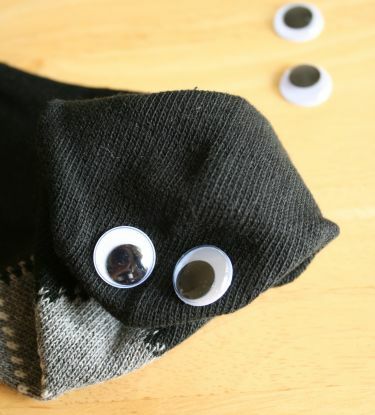 Now glue your visor onto your sock, just above the eyes. 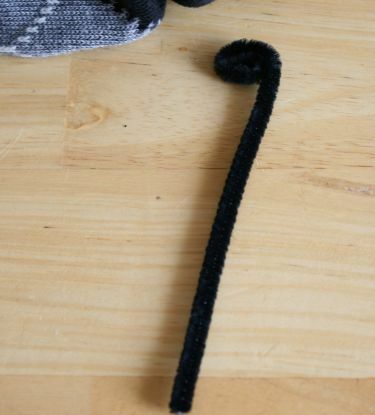 5- For the mini golf club, cut a piece of chenille pipe wire in half. Curl down one side just a little, giving it the shape of a golf club. 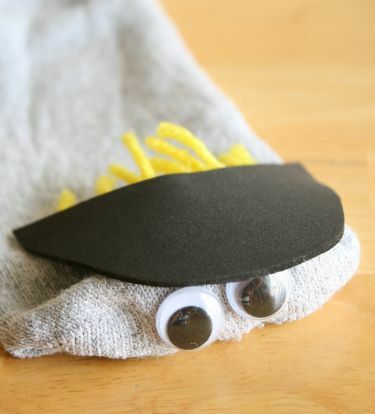 Then glue it onto the sock, where it’s arms would be. 6- We also wrote on our foam visors with white puffy paint. This is available at most craft stores. It writes easily and dries pretty fast. Now these little golf buddies are ready for the green! 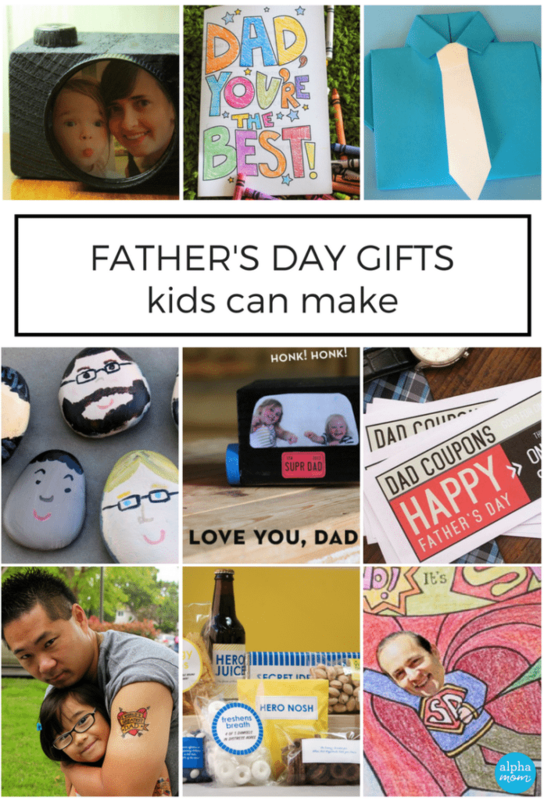 Have fun crafting up something fun for Dad! These are so cute! My husband would love one – thanks for the idea!